A Porsche Panamera 4S diesel at the Paris auto show in Sept. 2016. Porsche AG will stop offering diesel versions of its cars and light trucks, marking the latest blow for the technology that has come under intense scrutiny by regulators and environmental groups. Porsche will focus on gasoline, electric and hybrid vehicles because demand for diesel is declining, the company said Sunday. For the sports car manufacturer diesel "has traditionally played a subordinated role," the statement said. "Porsche doesn't condemn diesel. It is and remains an important powertrain technology." Porsche, which is investing more than 6 billion euros (US$7.1 billion) in electric mobility by 2022, said diesel's share of the brand's worldwide light vehicle sales was 12 per cent in 2017. "We as a sports car manufacturer, however, for whom diesel has always played a secondary role, have come to the conclusion that we would like our future to be diesel-free," Porsche CEO Oliver Blume said in the statement. Porsche halted sales of diesel vehicles in February amid a probe by German authorities into rigged engine-control software across parent Volkswagen AG. The sports car unit used adopted diesel motors from VW group sister brand Audi that contained potentially illegal functions for pollution controls. Germany's motor industry watchdog found a software function in the 8-cylinder Cayenne EU5 model is breaching emission rules, Blume told Bild am Sonntag in an interview. The discovery affects 13,500 diesel vehicles in Europe. Porsche was forced by the regulator in May to recall almost 60,000 Cayenne and Macan diesel vehicles because of illegal engine functions. 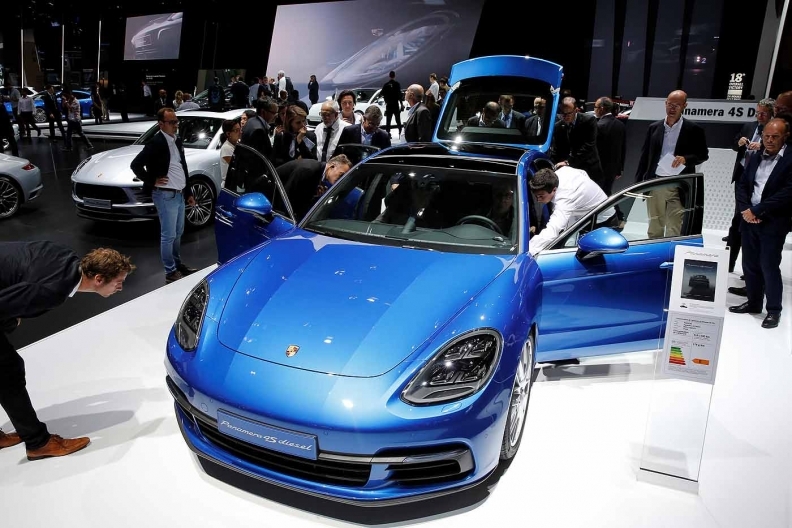 Porsche said its hybrid vehicles are becoming increasingly popular, with about 63 per cent of buyers of the four-door Panamera coupe in Europe opting for the partly electric version. The company will introduce the Taycan model next year, the brand's first fully-electric sports car based on the Mission E concept vehicle. German Chancellor Angela Merkel and Transport Minister Andreas Scheuer plan to meet top officials of the country's auto industry in Berlin later on Sunday to discuss how to meet air quality standards in cities. Recent court rulings in Germany stipulating that older diesel cars should be banned from certain areas have caused uncertainty among car buyers.